Second edition. Four volumes bound in two. Engraved frontispiece portrait of author opposite initial title. Foxed. Contemporary calf, spines gilt, rubbed and worn. Folio. 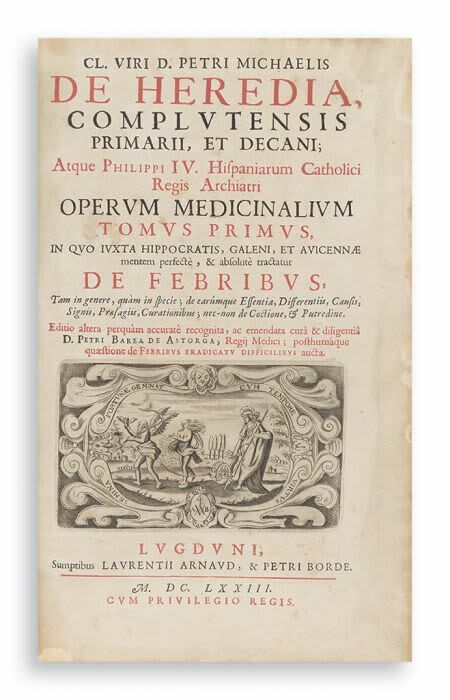 The collected works of an accomplished Spanish physician and modern Galenist, De Heredia (1579-1655) is noted for having rejecting the theory of spontaneous generation, which would not be scientifically disproved by Pasteur for another two hundred years.